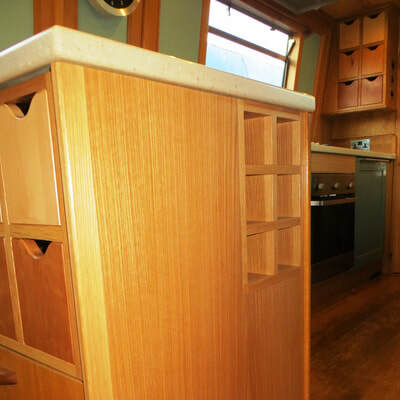 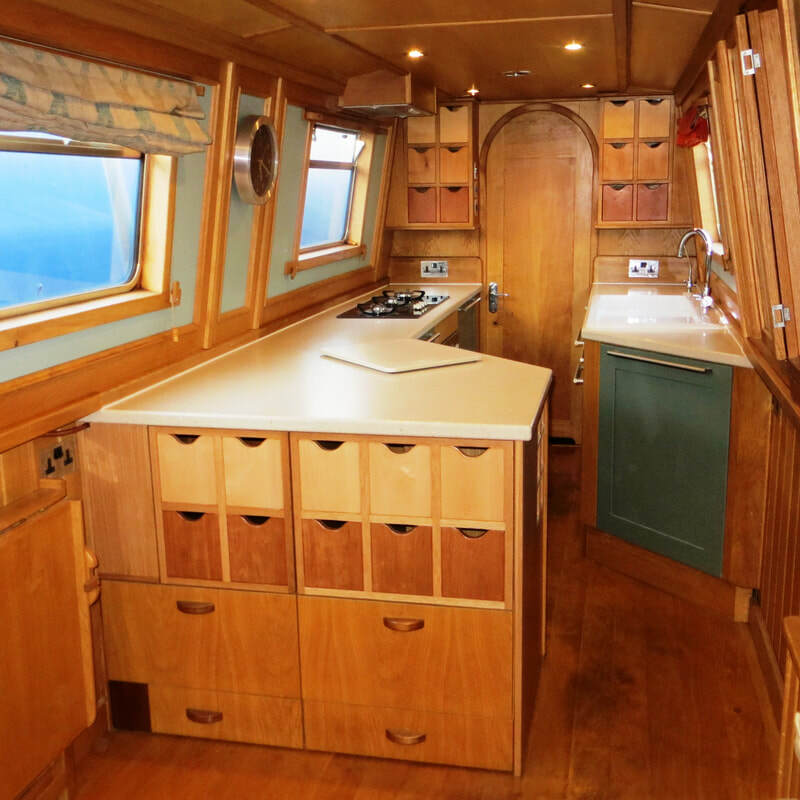 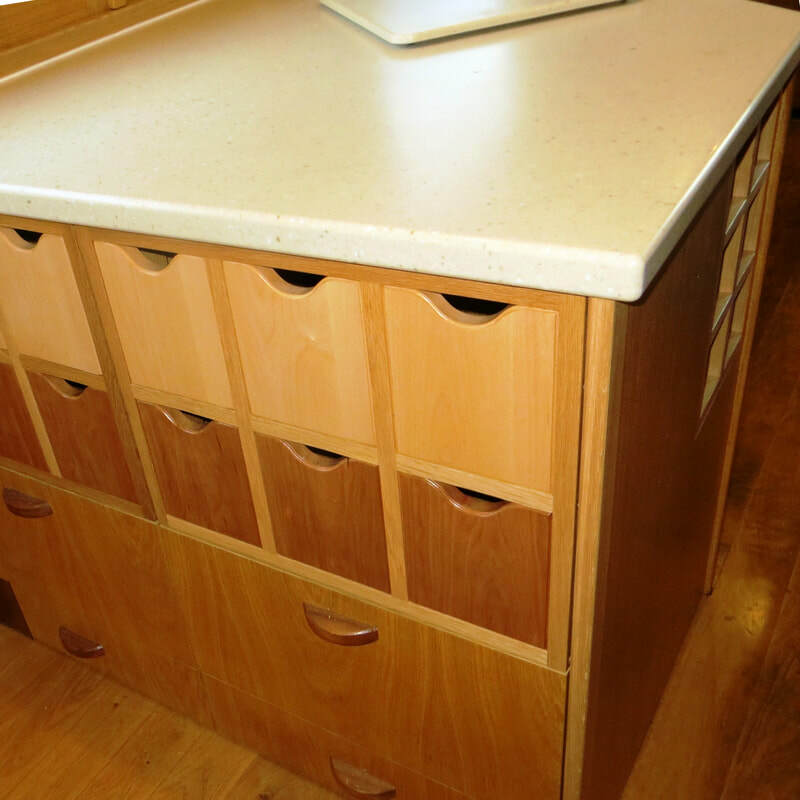 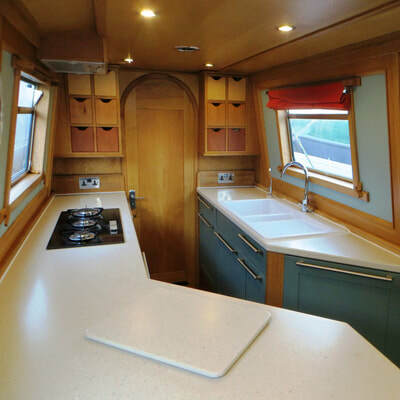 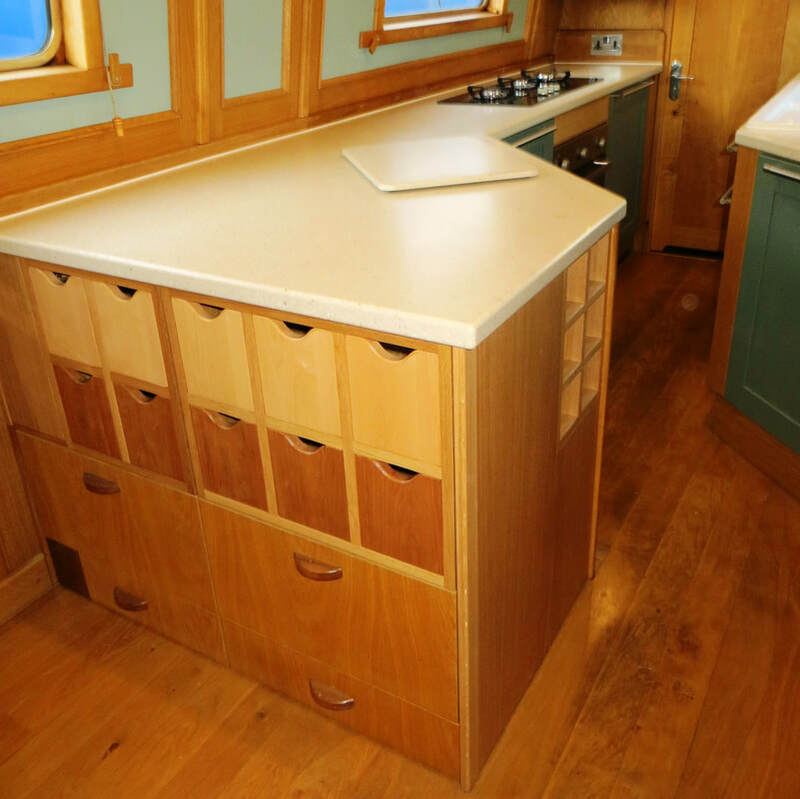 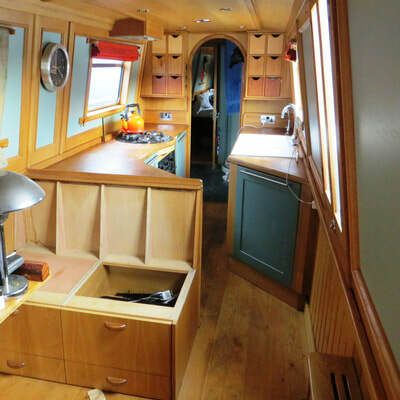 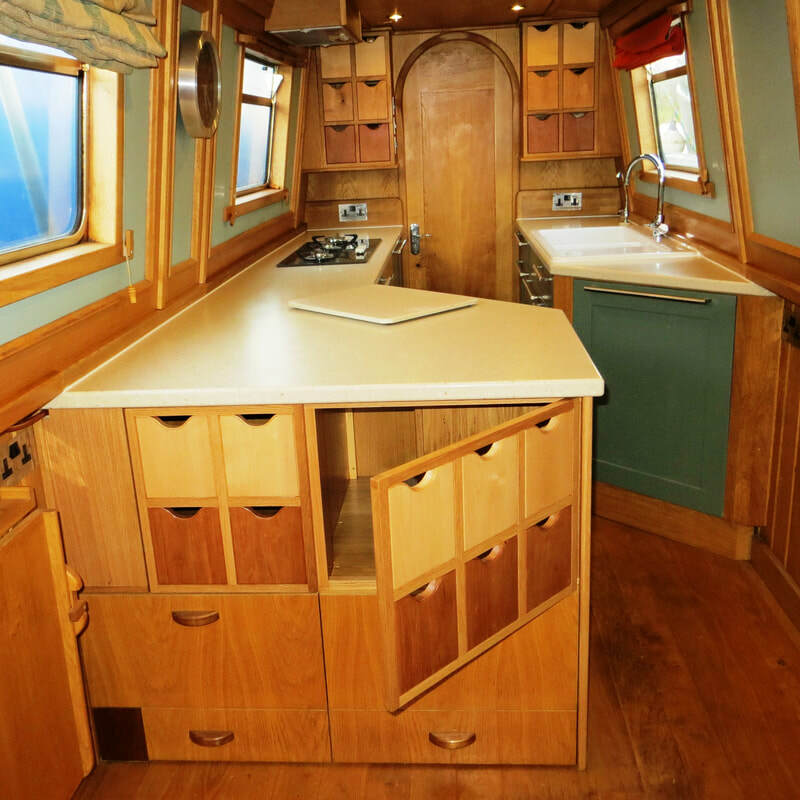 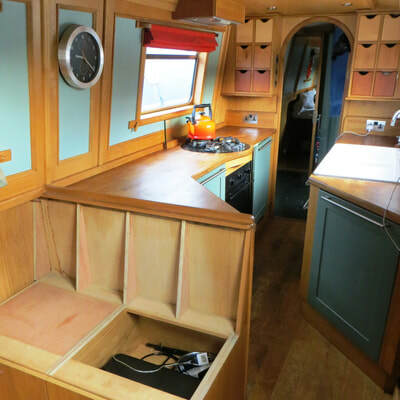 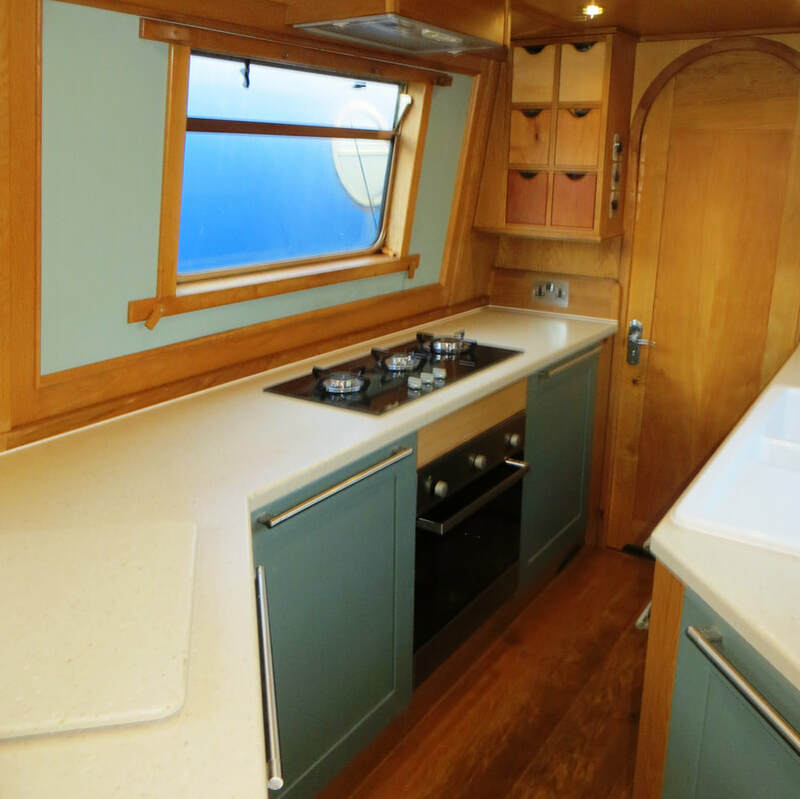 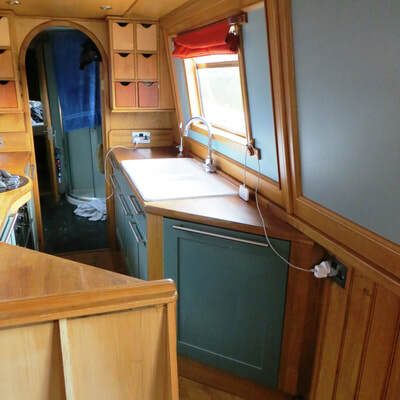 This galley had dark oak work sufaces and a faulty hob. 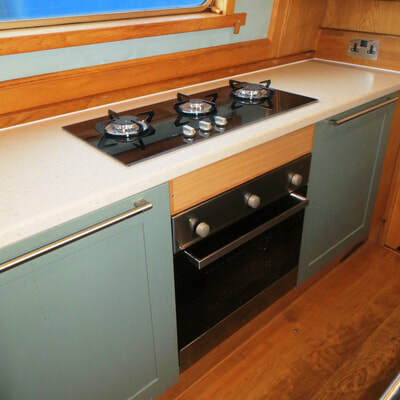 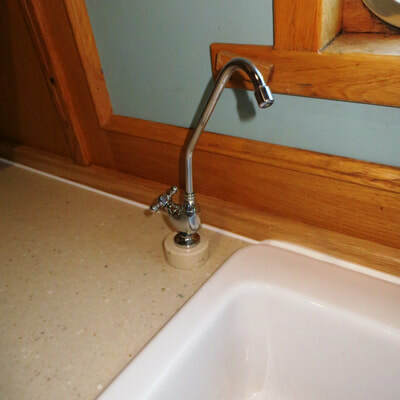 The owner decided to replace the hob and to extend the work surface area over a seat that was rarely used. The new work surfaces are Corian.